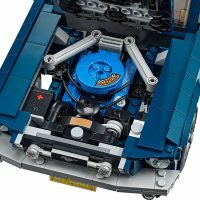 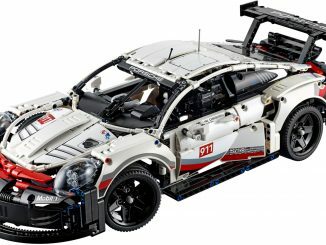 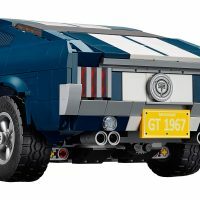 If you’re into modern race cars, you might favor the LEGO Technic Porsche 911 RSR, but if you like classic American muscle pony cars, you need to check out the new LEGO Creator Ford Mustang #10265. 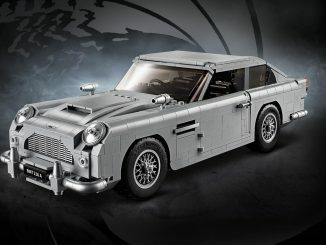 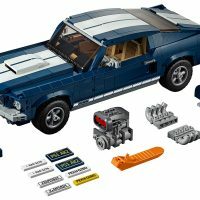 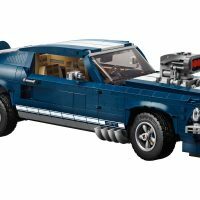 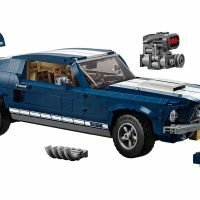 Comprised of 1471 pieces, this exclusive set allows you to build and customize your very own 1960s Ford Mustang! 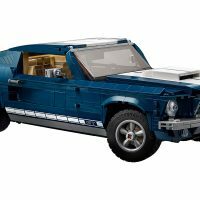 It’s loaded with authentic details, including a printed mustang grille badge, GT emblems, air scoop, racing stripes, and 5-spoke rims. 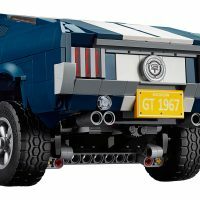 Plus, there are tons of options for customizing it with the included rear ducktail spoiler, supercharger, beefy exhaust pipes, front chin spoiler, selection of license plates, and a nitrous oxide tank. Adjust the lift on the rear axle to look even more aggressive. 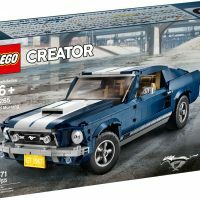 Discover the magic of an iconic 1960s American muscle car with the LEGO® Creator Ford Mustang, featuring dark-blue bodywork with white racing stripes, bonnet scoop, printed mustang grille badge, GT emblems and 5-spoke rims with road-gripping tires. 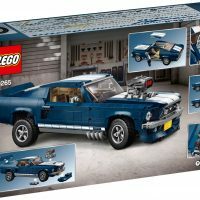 Developed with input from Ford, this authentic replica comes with optional add-ons for customization, including a selection of license plates, supercharger, rear ducktail spoiler, beefy exhaust pipes, front chin spoiler and a nitrous oxide tank. 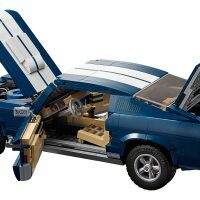 You can even adjust the lift of the rear axle for an extra-mean look! 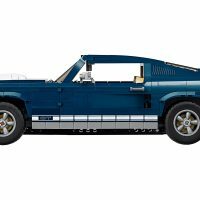 Remove the roof panel or open the doors and you have access to the detailed interior with handsome seats, radio, working steering and a mid-console gearshift. 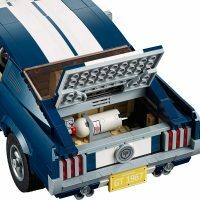 Store items in the trunk or lift the hood to reveal a detailed big block 390 V8 engine with battery, hoses and air filter detailing. 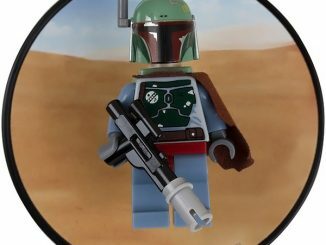 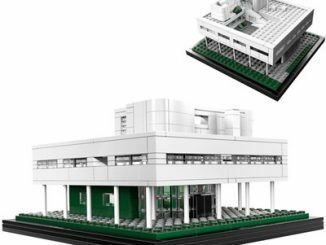 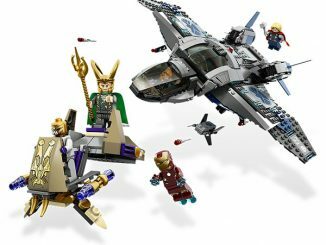 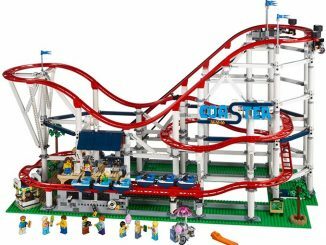 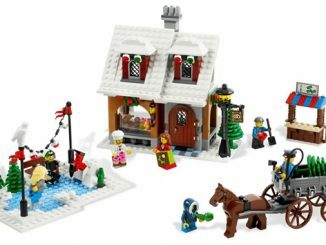 This advanced building set has been designed to provide a challenging and rewarding building experience full of nostalgia and makes a great centerpiece for the home or office. 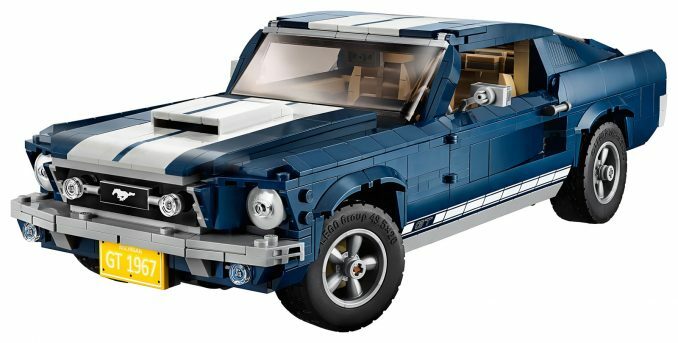 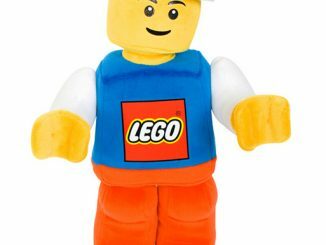 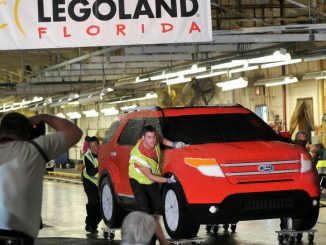 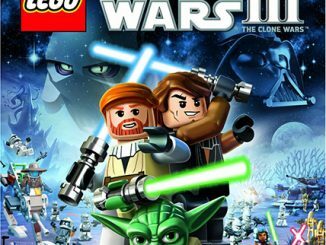 Available exclusively at LEGO Shop, this LEGO Creator Ford Mustang is $149.99.